Why do many give up? Why don't more people achieve the top ranks & big money? Why do so many start and not finish? Champions have a special mindset and that's the key to their success. The good news is that anyone can cultivate it. 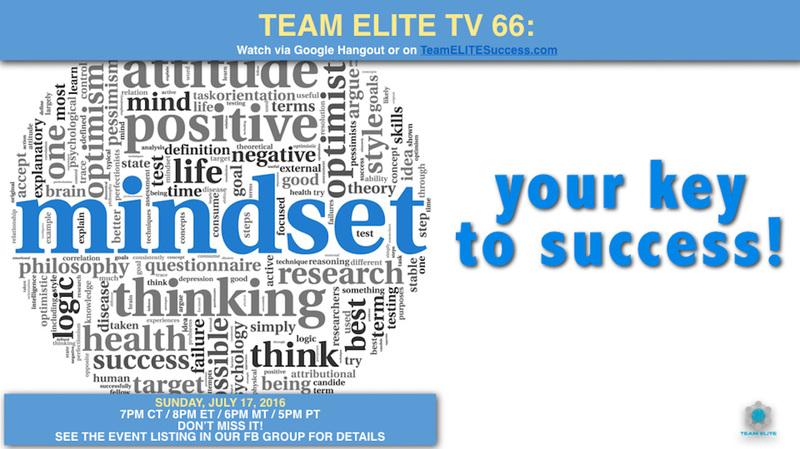 With our big re-launch coming up, let's spend some time talking about the mindset that each of needs in order to achieve our goals and dreams.